I’ve often been asked about the meaning of Namaste and although there are a few versions, probably the most commonly known is, I honour the Spirit in you which is also in me. Some other common meanings used are: ‘I greet the God within’, ‘I salute the God within you’, ‘That which is of God in me greets that which is of God in you’ and alternatively, ‘The Divinity within me perceives and adores the Divinity within you’. Essentially one and the same meaning, just expressed slightly differently. Namaste is a customary Hindu expression, used upon meeting or parting, which has the general sense of veneration and homage. Although frequently used, this is not a superficial greeting or gesture but deeply spiritual. Significantly Namaste is a humbling gesture and is intended as a recognition that we are all on an equal standing … all of us are children of divinity – we are one. Pronounced ‘nuhm-uh-stey’, the derivation of Namaste is from two Sanskrit words namas and the – namas means to ‘bow’ as in reverential salutation and the means ‘to you’: to bow to you. And, as Sanskrit is considered the oldest language of this world, the word nama has parallels in other ancient languages – the German neman and nehman, Greek nemo, nemos and nosmos, the Old Saxon niman and the Latin nemus. In written context, Namaste is often used in closing and is similar to signing off with ‘best regards’, ‘sincerely’ or ‘with love’. Traditionally a friendly greeting or salutation in India but interestingly in more recent times and probably more globally, the term Namaste has become associated with spirituality worldwide. Presumably the ever increasing western interest in yoga, yogic practices and eastern philosophy has meant that Namaste is more frequently heard, applied and thus gaining in popularity. Yoga teachers usually begin and end their classes with the traditional Namaste greeting and gesture. In India, Namaste greeting is more of a respectful gesture than verbal. This is done by a slight head bow and eyes closed accompanied with the palms of both hands together vertically in front of the heart area. Sometimes the hands are lifted vertically to the brow (or third eye), eyes closed and a slight head bow. Either way, these physical gestures alone are accepted as a respectful greeting in India. While in the west, Namaste is usually verbalised with or without the accompanying physical gestures and is thus taken to mean the same. 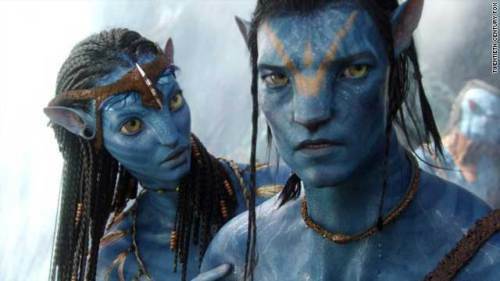 Naturally, I would be completely remiss in overlooking the significance of the internationally acclaimed film, Avatar (2009) where the Na’vi who are the inhabitants of the fictional moon of Pandora use the greeting, Oel ngati kameie or ‘I See You’. This is also a direct translation of Namaste. And, as the Na’vi explain in the film, ‘I See You’ doesn’t imply ordinary seeing. Instead like Namaste, this really means ‘the God in me sees the God in you’ … I see myself, in your eyes. I’m sure you will agree, Namaste meaning and significance is a deeply profound, respectful and sincere way of greeting everyone you encounter, irrespective of the usual social divides such as background, culture, gender, religion, status etc. With a sincere respect for other human beings, we can all contribute towards making this world a better place for all who dwell here. PS: You may also want to see my article, Namaste and Sawubona, a Zulu greeting which further explores the meaning and significance of other cultural greetings and languages.